THE planned resurfacing of the Spine Road east section from Broadway Lane junction to the A419 that was due to start on Monday, 4th February has been delayed due to the adverse weather conditions. 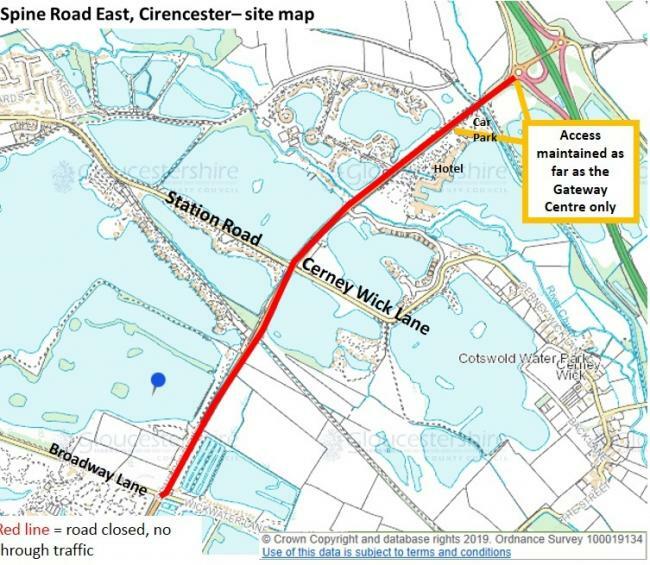 Gloucestershire Highways has announced that the work is now due to start on Monday, 11th February and continue until 20th February. The entire section will be closed to all traffic from 7am until 7pm each working day (excluding Saturdays and Sundays). Motorists are strongly advised to ensure that they know the alternative routes and use them while these much needed works are taking place. An idyllic peaceful retreat to relax and unwind within The Cotswold Water Park, a beautiful area made up of 150+ lakes located on the borders of Wiltshire and Gloucestershire. Lake Pochard Holiday Lodges offer holiday accommodation for rent in Scandinavian timber lodges, superb fishing and a friendly lakeside café. To make a booking, for more information or if we can help you in any way, please call the main office on +44 (0) 1285 706222. Staff are available during office hours. 7 days a week 7.00am to 5.00pm. Any other time, please send an email or leave a voice message on the main office number. Content & Images © 2019 Lake Pochard Lodges except where stated.